We are leading manufacturer and exporter of 5 Micron PP Bag Filter. 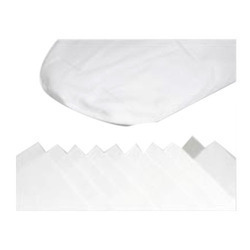 We are a prominent organization actively engaged in offering excellent quality Liquid Filter Bags. The offered bags are manufactured with the help of premium quality material and modular technology in compliance with set industrial standards. These bags are applicable in various industries for filtering liquid under high pressure. Fabric: PP, PE, Nylon and Cotton. Ring Type: PP Ring, PE Ring, Nylon Ring, GI Ring, and SS Ring. We are leading manufacturer of gujarat of Liquid Filter Bags. Available in all sizes. 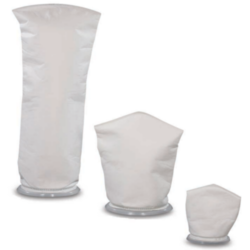 MMP’s liquid filter bags fit all industries and standard bag housing systems. There is high precision in manufacturing, which ensures consistent quality and no contamination. This vertical micro bag filter vessel in CS/ SS 304/ SS 316 comes with flange lock closure and standard seal in Neoprene/ Vitron/ Nitrile.